We continue our fantasy baseball dynasty rankings analysis with the second base position. Second base is a very intriguing position for dynasty leagues, as there is a changing of the guard that could come as soon as a year or two. Out will be the mainstay names of Robinson Cano, Brian Dozier, and Daniel Murphy, to be replaced by the likes of Ozhaino Albies, Yoan Moncada, and Willie Calhoun (assuming he retains 2B eligibility). Without any more delay, let's explore the 2018 second base dynasty rankings for February. 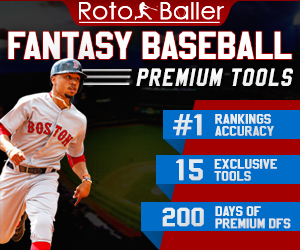 Be sure to also check out more of our staff's initial 2018 fantasy baseball rankings and analysis columns for other formats including mixed leagues, dynasty leagues, 2018 prospects and more. There’s not much debate about Jose Altuve being the headliner of the position and Tier 1. 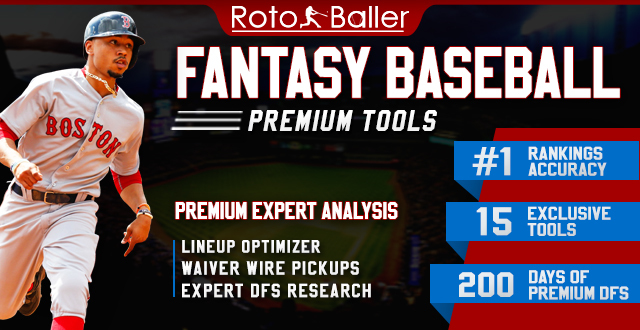 Initially fantasy relevant due to a strong average and stolen base production, Altuve has since turned into an all-around player to include power along with elite run-scoring production. At the age of 27, he should have three more safe years of high-end production, making him a top-10 overall dynasty asset and easy choice for number one at the position. Rizzo’s eligibility as a second baseman is something that can be debated, but his production and reliability cannot. 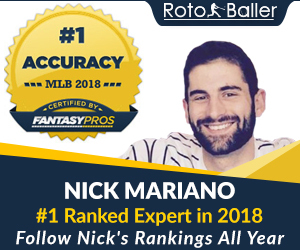 He’s put up nearly identical stat-lines over the past three seasons, so fantasy owners can feel secure in his elite level four-category production for at least another two or three years. There’s some argument that Jose Ramirez belongs in the top tier, but he doesn’t yet have the year-over-year reliability to match that of Rizzo or Altuve. His plate discipline and batted ball data suggest that Ramirez could join Tier 1 in short order as he maintained a 10% strikeout rate while also upping his FB%, hard hit rate, and pull rate, all of which make his power surge more believable. Yoan Moncada finds his way to Tier 2 purely on projection. There’s 25/25 upside that we’ve seen from him in his minor league history, but as he’s moved up levels his steal output has slowed. A 34.3% strikeout rate in 231 major-league plate appearances is also concerning. The bet is on prospect pedigree with Moncada. This tier is littered with mainstays at the position, but are entering the stage of their career where their price should indicate significant risk of a fall off. We’ve already seen some of that decline from Robinson Cano, and at age 35 his seasons of 20 home run production are no longer guaranteed. Meanwhile, Daniel Murphy is 32 and Brian Dozier will turn 31 during the 2018 season. Though subtle, signs of decline for Dozier include that he was just 16-for-23 (69%) in stolen base attempts. These are both players to buy on for contending teams, but anyone without a realistic chance to win in 2018 would be wise to explore trades. Jonathan Schoop is entering his prime and followed up his 2016 season with an even better 2017. There were no red flags of outlier performances in 2017, so his value should be solidified at this point. Rougned Odor burned a lot of fantasy owners in 2017, but a future 40-homer season isn’t out of the question given his 42% FB rate over the past two seasons and a high HR/FB rate to go along with it. At the age of 24, he’s the youngest of this tier and actually has striking similarities to Brian Dozier in his prime. However, to reach that level Odor will have to manage his strikeouts and fix his IFFB problem. This group is not as easy to sort as the previous tier. Ian Kinsler and Matt Carpenter are the senior members of the group both by age and production. However, both have almost certainly seen their most productive fantasy seasons come and go. Carpenter was hampered by a wrist issue much of last year, so a bounce back is certainly possible. DJ Lemahieu is the safest of the group as so long as Coors Field remains his home as he should be an asset in runs and batting average. However, we know what to expect from him at this point and that is a viable, though quite ordinary second baseman. The rest of the group has high variance in both projection and playing time, at least in the short term. Both Ian Happ and Javier Baez are strong fantasy assets in the long-term as they have the skills to be excellent but their path to playing to remains murky in the short-term. Chris Taylor broke out last season but his periperals were littered with outliers. As a member of the Dodgers, he can easily be replaced in the lineup if things start going south for him. That makes him a risky asset to make a core of dynasty plans. 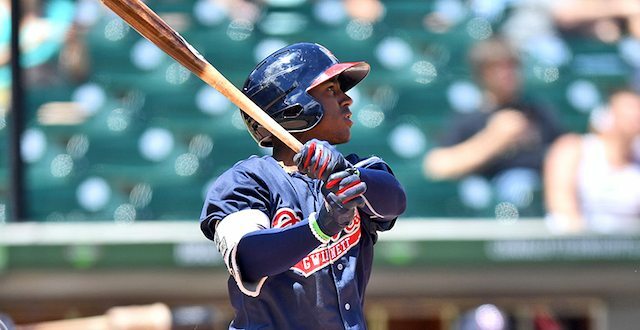 It’s easy to imagine Ozzie Albies in Tier 2 next season. While he doesn’t have the pop of Yoan Moncada, he should outpace him in batting average as he regularly posted a strikeout rate at 15% in the minor leagues and maintained that level in his small major league sample last season. Add in his speed and that should make a him a mainstay atop the Braves lineup, giving him high run-scoring potential. Speaking of speed, Albies has also shown the ability to swipe bases at every level of the minors and in his 57 games with the Braves he stole eight bases in nine attempts. As can be expected, things get a little messy in Tier 5. 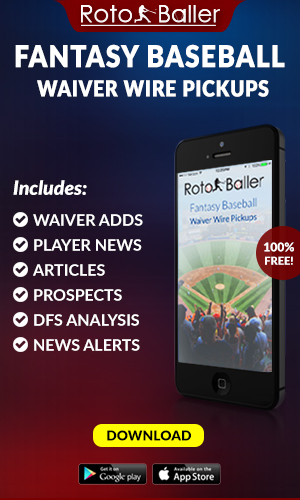 Devon Travis, Cesar Hernandez, Scooter Gennett, Chris Owings, Jose Peraza, Whit Merrifield, and Wilmer Difo have all shown various skills as fantasy assets but each faces playing time concerns due to a combination of poor performance, crowded infield situations, or injury. 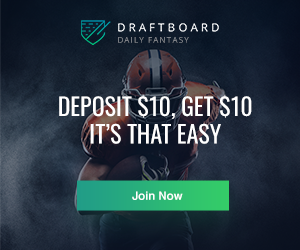 All are best suited as reserves or specialist type roles on dynasty rosters as a result. Scott Kingery and Willie Calhoun are two young players on the rise, and they fall just a bit below Moncada and Albies. Calhoun has the chance to be an exceptional power hitter while also not striking out a ton; that is a combination rare enough to make him a strong player to speculate/hang onto despite concerns he might become a full-time outfielder. Meanwhile, Kingery profiles more as an asset on the basepaths with 70 grade speed. There is speculation that he could overtake Cesar Hernandez to begin 2018, but the safer bet is to expect him toward the later portions of this season. If tier 5 was messy, this range is just a disaster. Marwin Gonzalez is a standout among Tier 6 thanks to his positional versatility and excellent team context, but everything about his 2017 performance screams outlier. Raul Mondesi is another standout in Tier 6, as he has the potential to be the next stolen base trump card fantasy asset. None of the players in Tier 7 enter in dynasty leaguers long-term plans and are best used in a streaming or desperation situation.